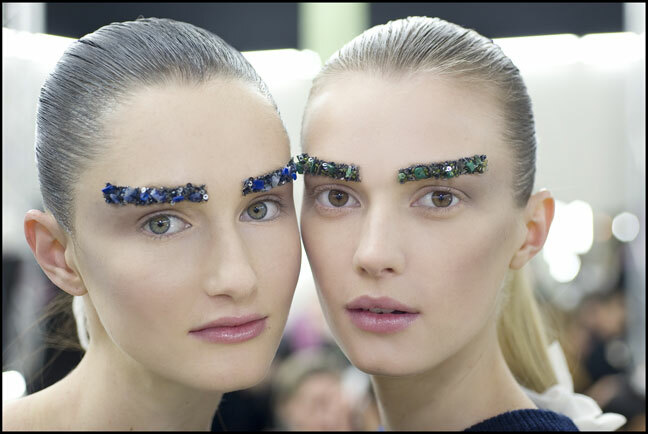 Cold, Crystal, Pant-suited Chanel Fortress... Paris Ready to Wear (Pret-a-Porter) Fashion Week ended last week and the Chanel fashion show was one of the highlights--as usual. 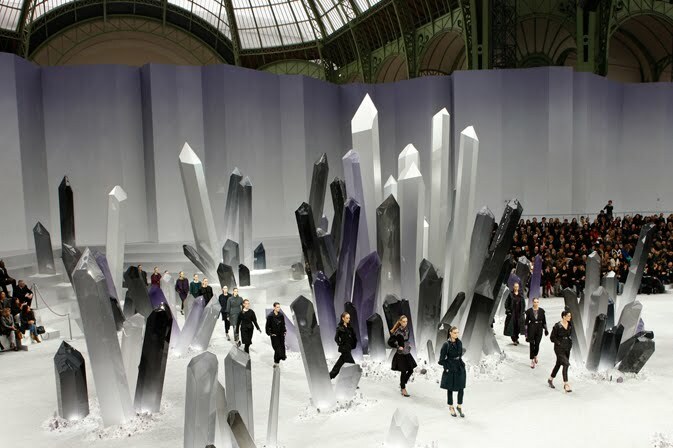 Designer Karl Lagerfeld created a cold, winter crystallized "fortress" of sorts for all the show's guests. 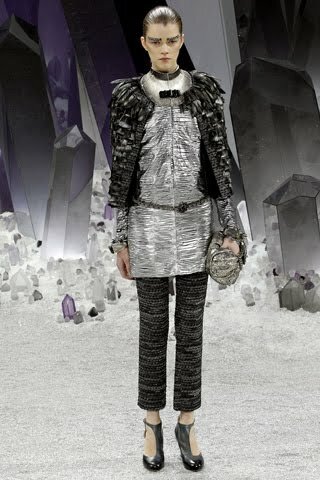 In terms of the Chanel Fall/Winter 2012 silhouette, it was the three-piece suit--as in jacket, skirt...and pants! Every single exit showed an ensemble with pants in one form or another--nothing new for Chanel or Emperor Karl. It was a very chic look. Colors were black, violet/royal blue, grey, burgundy, green and variations on each. 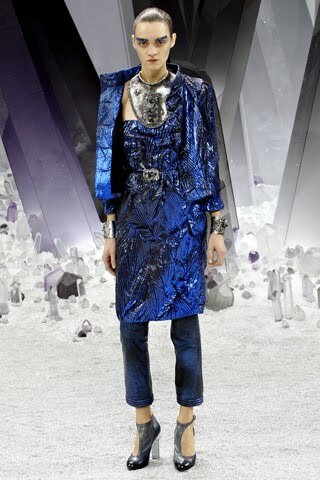 0 Response to "RUNWAY REPORT.....Paris RTW Fashion Week: Chanel A/W 2012"